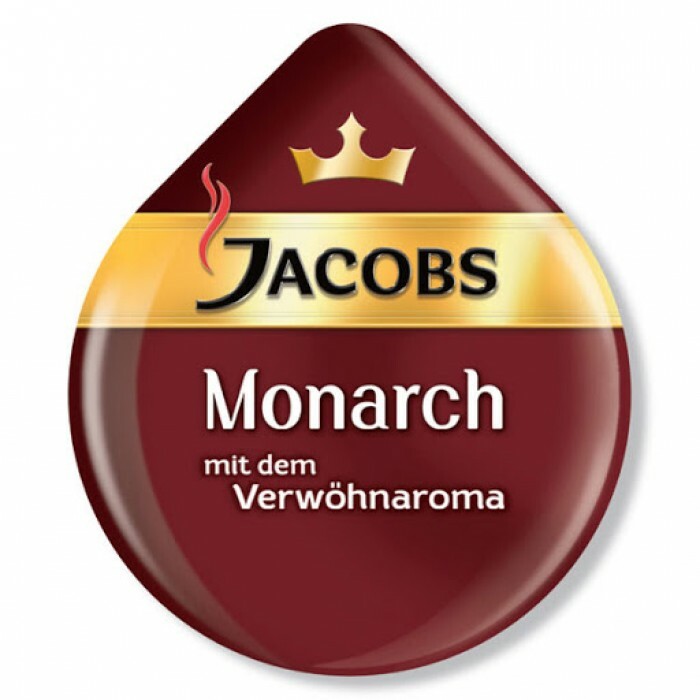 Start with an excellent tasting Jacobs Monarch in the day! Balanced premium coffee with some pampering aroma. Fast preparation by the Tassimo T-Disc system. Nescafe Dolce Gusto - a clever, easy-to-use pod and machine system that lets you enjoy coffee sho..
Tassimo Caffe Crema 128g A rich, full bodied and intense coffee topped with a delicate velvety ..
Tassimo Cappuccino 264g A combination of intense espresso topped with a frothy layer. Now even ..
Tassimo Espresso 128g A strong but well-balanced espresso. 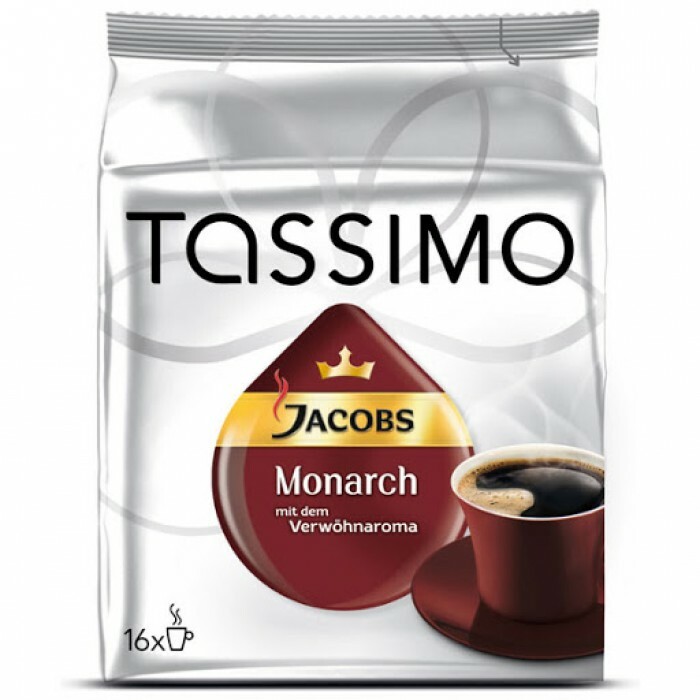 A classic espresso composition with ..
Tassimo Hag Decaffeinated 56g This indulgent Caffe Crema has been decaffeinated using natural e..
Tassimo Latte Machiato 480g A combination of velvety milkiness, a touch of sweetness and intens..
Tassimo Medaile d'Or 136g Made with 100% Arabica beans Servings per pack: 16 Ingredie..
Tassimo Milk 172g Indulge yourself with an added layer of pleasure on your favourite Tassimo dr..